Spring is here ~ a time for spring cleaning and planting new seeds! Are you ready to spring into the new, yet feel stuck or confused? 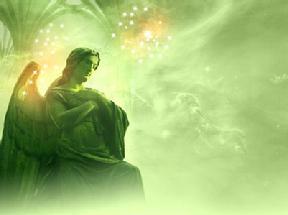 Do you feel like you can benefit from some angelic guidance to help you? If so, our April Webstore Promotion is here for you! For the month of April, we are offering a special on our one-on-one Angel Sessions. These one-hour sessions are shared via phone and are personally for you...giving you the opportunity to ask your angels specific questions. Caly will guide you to ask questions that are truly in your heart and to phrase them in a way that will be most beneficial to you (or if you don't have specific questions, we can go as guided and see what the angels wish to share with you). Caly will then relay messages that she is receiving from your angels. Inasmuch as this is a one-on-one session and done "live," no typed notes are provided with this reading/session. This type of session is to connect solely with your angels (it does not include connecting with loved ones in spirit). Please use the PayPal link below to receive this promotional price/savings. Once we receive your payment, we will contact you to schedule your session(s). Please note that sessions (purchased via this promotional price) must be completed by May 17th, 2019, otherwise they will be forfeited. April's Webstore Promotion is available for $80.00! ALSO AVAILABLE FOR PURCHASE!!! In January/February of 2018, we hosted an Angel Meditation Series for ten days. These angelic meditations were recorded and are now available for purchase as a set for $105.00. That's ten guided meditations (that are e-mailed to you for you to download) for $105.00! Each meditation has a different theme/angelic energy. To purchase this beautiful series, click on the PayPal link below.